We want you and your loved ones to be as relaxed and comfortable as possible. When you arrive at the Center, you’ll find the admission process efficient and friendly. Our waiting area offers comfortable seating for your loved ones, flat screen digital satellite televisions, wireless Internet access, a large assortment of reading materials, and complimentary beverages. For those patients who require extended recovery time, private rooms are available. Each is equipped with high speed Internet access; digital satellite televisions and DVD players (bring your own DVDs or select one from our library). If an overnight stay is required, a light dinner will be provided. At Short Hills, comfort is part of your therapy! 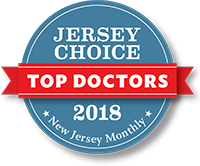 Thank you for choosing Short Hills Surgery Center for your upcoming surgery or procedure. To start the pre-surgical assessment process, Short Hills Surgery Center requests that you fill out your medical history online with One Medical Passport. We recommend that you enter your medical history online as soon as your surgery has been scheduled. Once you have completed the online registration, our Pre-Surgical Assessment nurse will be able to review the information you entered online. This information will assist the staff in organizing and documenting your complete medical history in preparation for your surgery. Completing a One Medical Passport medical history online is easy. For most patients, filling out the entire questionnaire takes less than 30 minutes. Please fill out the questionnaire accurately, and be assured that all of your information is kept confidential and will be thoroughly reviewed by your medical team. At any time, you can quit filling out the questionnaire and come back to complete the unfinished portion at a more convenient time. Information Security: One Medical Passport uses the highest grade of Internet security available: 128 bit encryption with SSL (secure socket layer) technology. Your information is stored on servers at a secure webhosting site and will only be released to your medical team at Short Hills Surgery Center. Your information is never released to anyone other than your medical team.